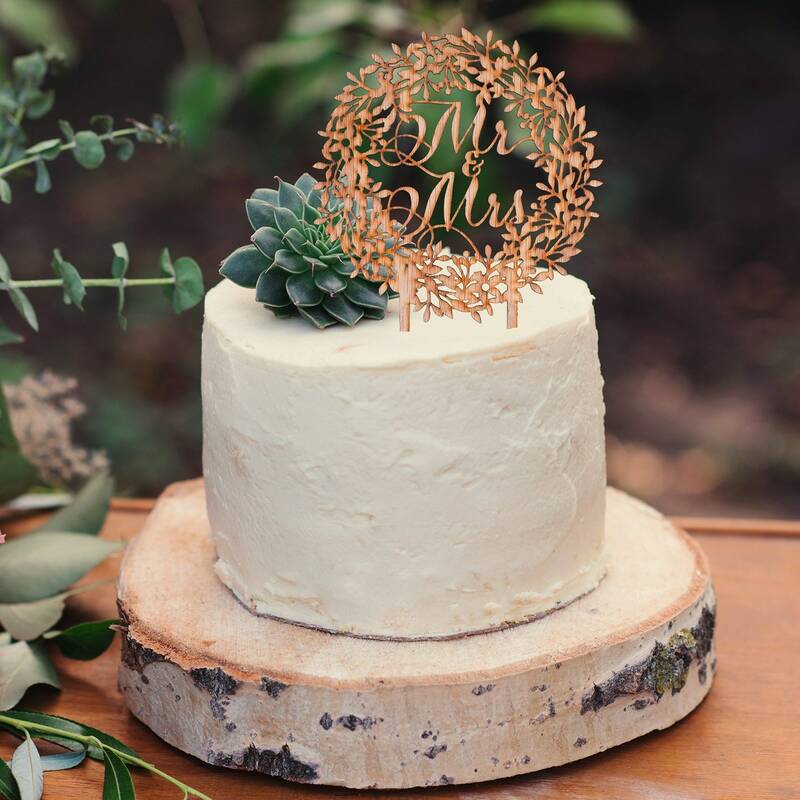 Rustic Wreath Wood Cake Pick. 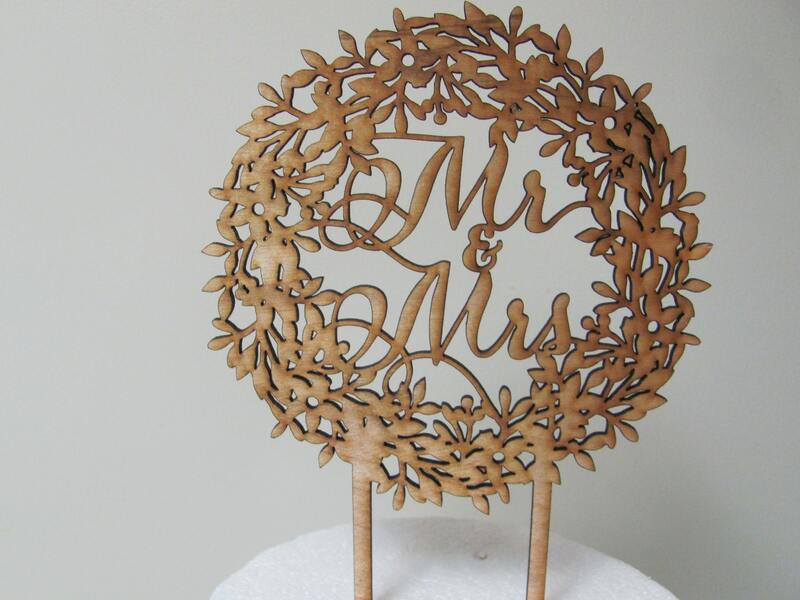 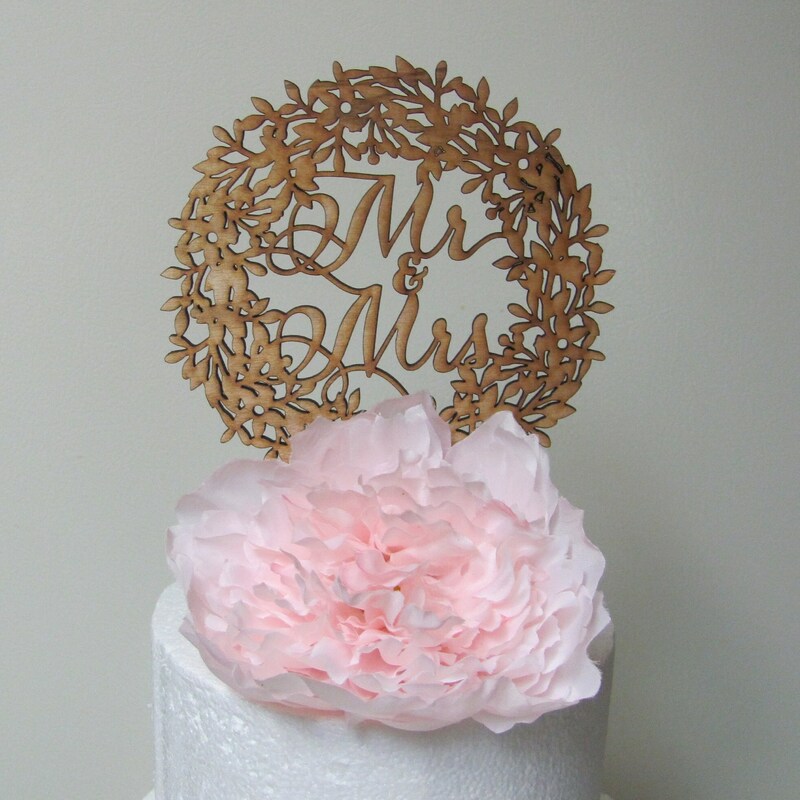 this wedding cake pick topper will features Mr. and Mrs. inside the wreath. 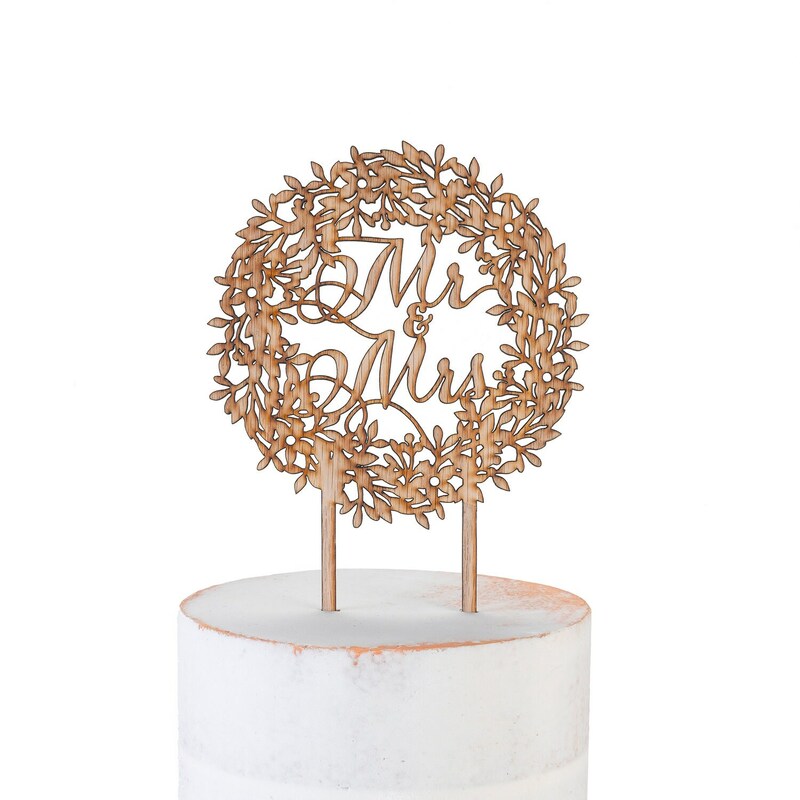 other items are not included with the Mr. and Mrs. Cake Pick topper. 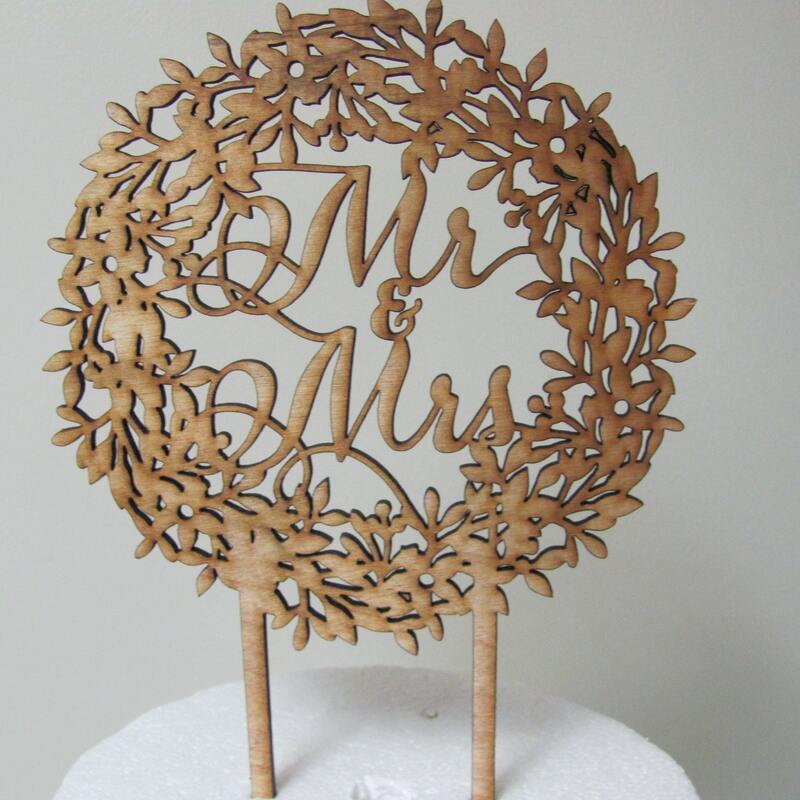 This can also be used in floral arrangements for the sweetheart table and wreaths etc.